I loved almost everything that Cafe Lota has to offer. A fusion of regional Indian dishes from Palak Patta ki chaat to kesari lassi, this cafe has a range of scrumptious food and beverages. 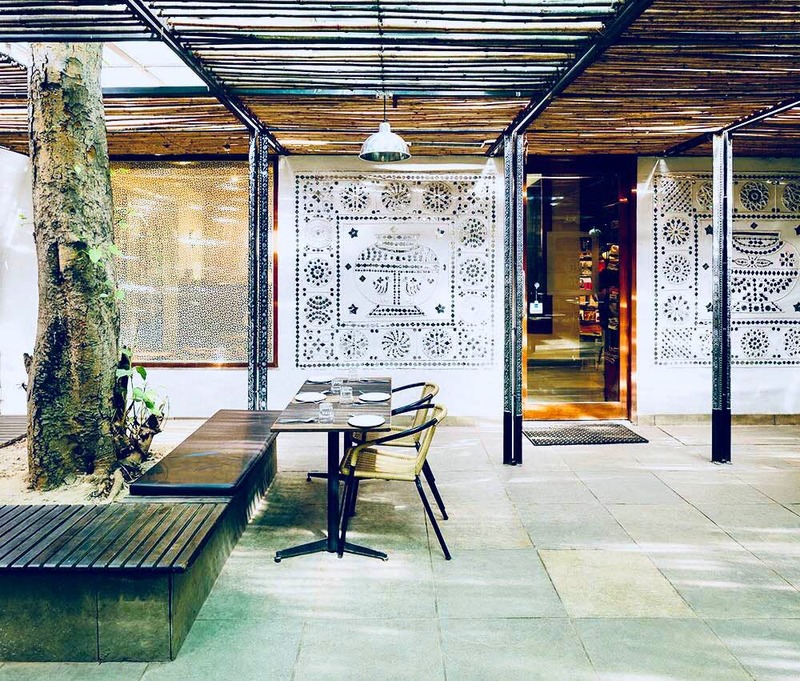 This simple yet excellent eatery that has a calming effect, is starkly different from modern Delhi brick & glass restaurant. The theme depicts Indian culture and serenity and the interiors have quite an Indian touch to them as well. With excellent service, great ambience, and delicious food, this is the perfect place to hang out with your friends and family. I didn’t really find any flaw in the place that I would make any suggestion. Everything seemed to be just fine. A perfect blend of Indian culture and food from all across India.